With competitor PMA on Qi’s heels, who will win the race to charge tomorrow’s phones? Wireless charging — an oft-requested, rarely-implemented feature in smartphones that’s only recently started to gain widespread acceptance — has seen a rash of headline announcements and product launches in the last few weeks, most notably the Google Nexus 4 and Nokia’s updated Lumia series. 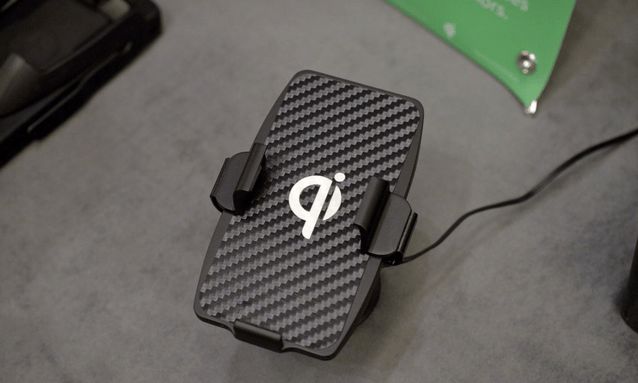 But like many tech concepts still in their retail infancy, the wireless power industry is rife with factions, agendas, and incompatible standards: Qi, the protocol promoted by the Wireless Power Consortium, has the most traction with a member list that includes Belkin, Energizer, LG, Motorola, Nokia, Samsung, Sony, and Verizon Wireless. And with a list of heavyweights that long, that means that Qi is well on its way to entrenching itself as the dominant standard, right? Not necessarily. In testing the Nexus 4 this week on Nokia’s DT-900 Qi charging pad (the one that AT&T has been throwing in for free with purchases of the Lumia 920), our results weren’t promising: the Nexus would connect, disconnect, reconnect, and disconnect once again from the charger, ad nauseam, making the “charger connected” notification sound each and every time. The charging light on the pad, meanwhile, flashed on and off in rhythm with the connections annunciated by the phone. It didn’t matter how the Nexus was positioned on the pad (Qi advertises a large, forgiving charging surface as one of its benefits, coincidentally) — the two simply wouldn’t work together consistently enough to get the phone charged. The pad works normally with two Lumia 920s I’ve tested. And that could be a big problem. Though the Nexus 4 uses Qi (likely thanks to LG’s membership in the Wireless Power Consortium), Google itself recently announced its intention to support the competing Power Matters Alliance along with Verizon competitor AT&T. Perhaps more importantly, PMA nabbed the endorsement of Starbucks, a place where tens of thousands of people (this writer included) would love to be able to set their phone down for a few minutes for a quick charge. Any compatibility hiccup between Qi-branded products — no matter if they’re from Nokia, LG, Sony, or someone else — could spell doom for a standard that’s trying to get a foothold in a brand new market, particularly with PMA nipping at its heels. With Nokia’s attractive DT-900 charging pad being offered in multiple colors for $50 each, I’d personally planned on buying three or four to outfit my house for the impending wave of Qi-compatible phones that I expect to be testing and owning over the coming years — but my experience with the Nexus 4 gives me pause. A standard whose logo, brand, and certification can’t be trusted to guarantee compatibility fundamentally undermines the standard itself. “The Nexus 4 and the Nokia DT-900 are supposed to properly work together,” says Menno Treffers, chairman of the Wireless Power Consortium. Indeed, not everyone is having trouble pairing the Nexus 4 to the DT-900: Engadget reported success, for instance. But a single bad experience instills doubt in a standard that needs as much traction as it can get early on in the game. Interestingly, Google doesn’t display the Qi certification logo anywhere on the Nexus 4’s packaging — perhaps a sign that it is already prepared to move on to PMA regardless of Qi’s uptake. Starbucks certainly is. We don’t yet know which of these standards will be the Blu-ray and which will be the HD-DVD, but in the meantime, customers are going to be voting with their dollars. Only an airtight standard is going to survive.